Typically, hepcidin levels are increased when there is a high level of circulating iron. This reduces absorption of iron from the diet, reduces the amount of recycled iron released into the system, and converts more iron into the storage form, ferritin. All of this helps to protect the body from iron overload. Inflammation can also cause hepcidin production to increase.3 The increase in response to inflammation helps our bodies defend against invading pathogens. Foreign invaders, like bacteria and viruses, need iron to survive and thrive just like we do. Therefore, the body responds by increasing hepcidin and removing a lot of iron from circulation so it is not available to “the invaders,” essentially stunting their ability to grow and replicate. The result? A lot of iron being put into storage and converted to ferritin. Ferritin is usually a good measure of overall iron status, but in the presence of inflammation, it functions as an immune response, not as a marker of iron status. Elevations in white blood cell markers can also signify that your body is battling an infection, and therefore, is mounting an immune response. This usually includes an increase in inflammatory compounds to help fight the invading organism and can lead to similar effects on the iron group. The white blood cell count is made up of 5 different types of white blood cells and each respond to a different type of threat (bacterial, viral, parasitic, allergy, or chronic inflammation). Read more about white blood cells tested in the complete blood count, or CBC (part of our Ultimate plan) here. If your inflammation levels are high and your ferritin is in the optimal zone, look at your total iron binding capacity, or TIBC, level. TIBC is similar to transferrin, a major iron transporting protein. 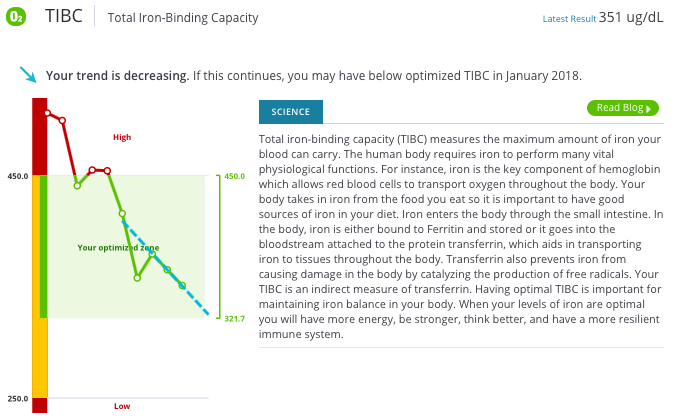 High levels of TIBC and transferrin indicate high levels of iron binding capacity – in other words, your body has a lot of feelers out for iron to absorb and you should increase your intake of iron.3,11 Normal ferritin levels with normal TIBC levels is a good indication that you are likely meeting your iron needs, regardless of inflammation. 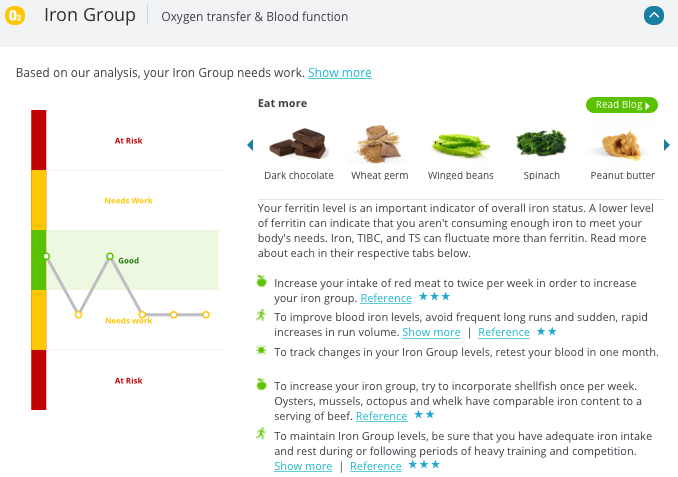 Normal ferritin with high levels of TIBC can indicate that you aren’t getting enough iron. 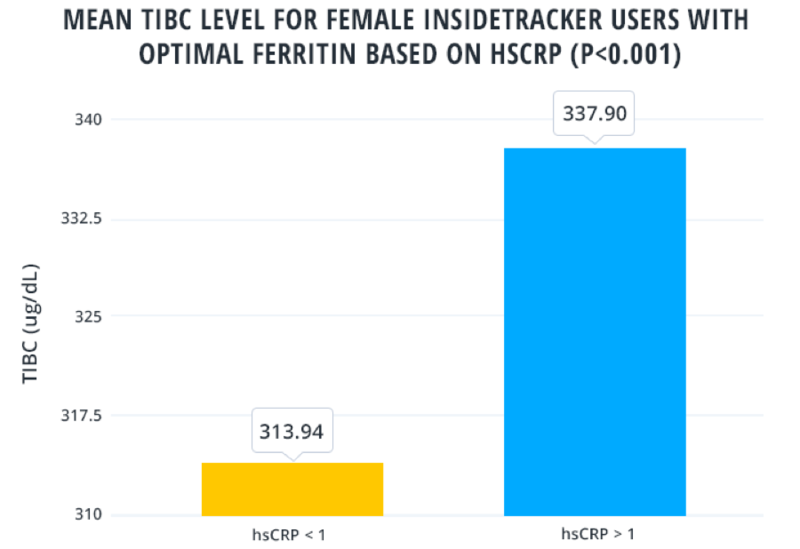 In fact, for female InsideTracker users with optimal levels of ferritin, the average TIBC level was significantly higher for those with hsCRP levels greater than 1 mg/L compared to females with hsCRP below 1 mg/L (p<0.001). Another interesting scenario is a sharp drop in serum iron and TS with subsequent increases in WBC or hsCRP. So, do you know what your iron and inflammation levels are? InsideTracker can help you interpret your values and develop a personalized plan for getting them into your optimal range. Stay tuned for an upcoming blog on the best way to improve low ferritin levels. Park, Christina H., et al. "Hepcidin, a urinary antimicrobial peptide synthesized in the liver." Journal of biological chemistry 276.11 (2001): 7806-7810. Crielaard, Bart J., Twan Lammers, and Stefano Rivella. "Targeting iron metabolism in drug discovery and delivery." Nature Reviews Drug Discovery(2017). Ganz, Tomas, and Elizabeta Nemeth. "Iron sequestration and anemia of inflammation." Seminars in hematology. Vol. 46. No. 4. WB Saunders, 2009. Langberg, Henning, et al. "Substantial elevation of interleukin‐6 concentration in peritendinous tissue, in contrast to muscle, following prolonged exercise in humans." The Journal of physiology 542.3 (2002): 985-990. Ispirlidis, Ioannis, et al. "Time-course of changes in inflammatory and performance responses following a soccer game." Clinical Journal of Sport Medicine 18.5 (2008): 423-431. Pedersen, Bente Klarlund, et al. 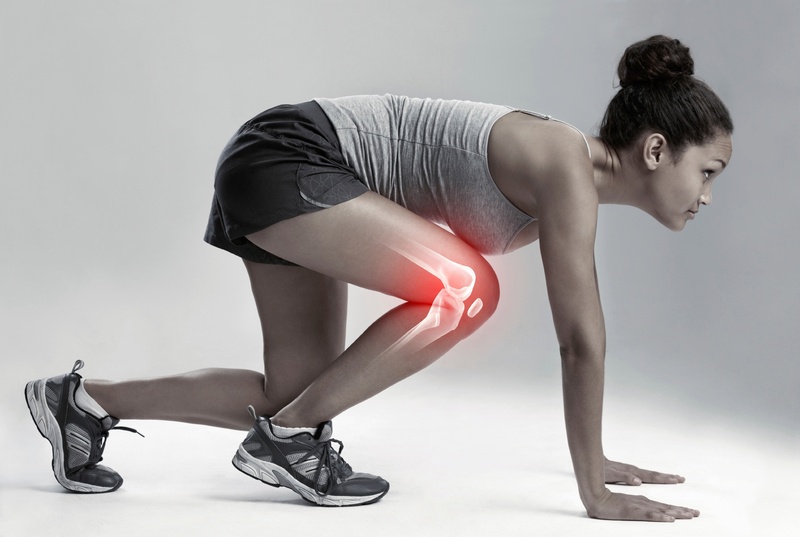 "The cytokine response to strenuous exercise." Canadian journal of physiology and pharmacology 76.5 (1998): 505-511. Sim, Marc, et al. "Iron regulation in athletes: exploring the menstrual cycle and effects of different exercise modalities on hepcidin production." International journal of sport nutrition and exercise metabolism 24.2 (2014): 177-187. Bahceci, M., et al. "The correlation between adiposity and adiponectin, tumor necrosis factor α, interleukin-6 and high sensitivity C-reactive protein levels. Is adipocyte size associated with inflammation in adults?." Journal of endocrinological investigation 30.3 (2007): 210-214. Sørensen, Cecilie J., et al. "Combined oral contraception and obesity are strong predictors of low-grade inflammation in healthy individuals: results from the Danish Blood Donor Study (DBDS)." PloS one 9.2 (2014): e88196. Fedewa, Michael V., Elizabeth D. Hathaway, and Christie L. Ward-Ritacco. "Effect of exercise training on C reactive protein: a systematic review and meta-analysis of randomised and non-randomised controlled trials." British Journal of Sports Medicine (2016): bjsports-2016. Skikne, Barry S., Carol H. Flowers, and J. D. Cook. "Serum transferrin receptor: a quantitative measure of tissue iron deficiency." Blood 75.9 (1990): 1870-1876.